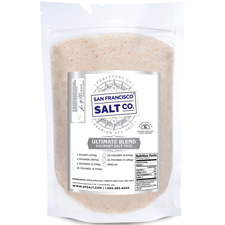 Ultimate Blend Gourmet Salt. 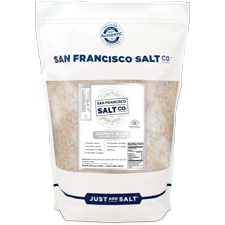 Three of the most highly esteemed salts: Sherpa Pink® Himalayan Salt, French Grey Salt, and Pacific Sea Salt come together in the perfect union. As versatile as it is extraordinary. 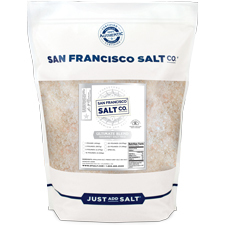 DESCRIPTION – A blend of Himalayan Salt, French Grey Salt and Pacific Ocean Sea Salt. Packaged in our U.S.A., GMP certified packaging facility which is 3rd party audited by SCS Global.